Murray & Roberts offers bursaries for top South African achievers who desire to be part of a world class organization with a global presence. 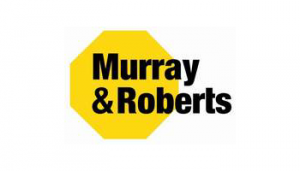 Murray & Roberts is committed to the principles of Employment Equity. How will my process be monitored? Bursaries are reviewed after each examination based on the student's academic performance and renewed annually. All bursaries are granted on merit but preference is given to Africans, Coloureds and Indian applicants. A Group Bursary Co-ordinator has been appointed to provide much needed support to our bursars. Our current graduate network is also available to the bursars for support. In-Service training periods are excluded from this period. The service obligation period will commence after successful completion of studies/after graduation. After graduation, the student will be required to work one year for every year of studies paid for by the company (including any suspension period). In-Service training periods are excluded from this period. The service obligation period will commence after successful completion of studies/after graduation.